Saba Arabians is set on 50 acres of rolling pasture land, located in the picturesque rural hills district of Sydney which encompasses Galston and Dural, just 45 minutes from Sydney International Airport. At Saba you will find a unique collection of Egyptian horses. Sons and daughters of some of the world's most treasured Arabians can be found here including the only daughters of Imperial Madheen and El Hilal in Australia and the only son of Ansata Halim Shah, as well as the progeny of *Asfour, El Halimaar, ET Crown Prince, Imtaarif, *Imperial Madaar, *Prince Fa Moniet and more. Saba’s breeding program is dedicated to preserving the classic desert horse in its finest form. 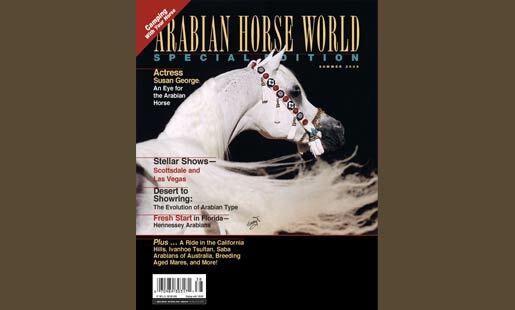 Farm proprietor, Louise Cordina puts great emphasis on both pedigree and the horse as an individual, striving to produce an exclusive selection of Arabians which represent outstanding families and the elegance and type that defines the Saba horses. Saba hosts a luncheon once a month where visitors can enjoy the horses, the atmosphere and meet in person some truly special individuals. A complimentary stud DVD is also available on request. Click here to read more about Saba.